The Cute Potato team survived a long road trip from Maine to Ohio with the help of some travel-friendly art kits and a great children’s album, plus a few stops for ice cream. We don’t have video in our Subaru, so MP and DP are dependent on books, music, and games to keep the kids occupied in the car. Before the trip, MP shopped Island Treasure Toys in Yarmouth to find a few, small gifts to reward the kids for good behavior. MP left with two, super cute art folios from a company called The Piggy Story. 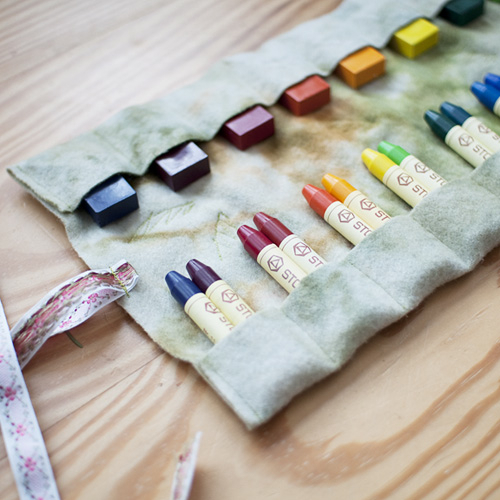 These fabric kits have a handle for easy carrying, 12 crayons, and a note pad. CP#1 and CP #2 loved their portable art folios (so much so, MP and DP enjoyed a peaceful lunch by Lake Erie while the kids drew pictures at the table). 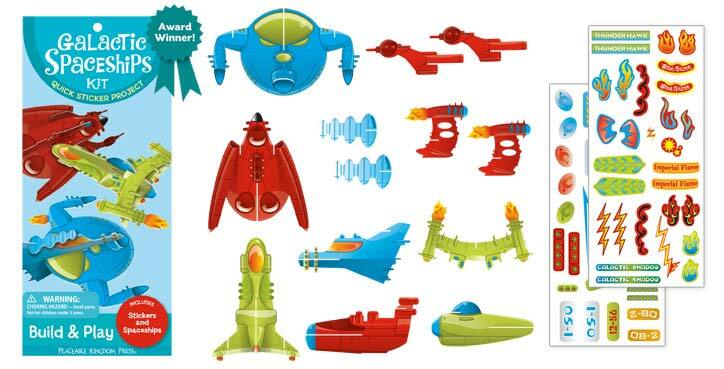 MP discovered another simple, but fun creative kit from Peaceable Kingdom Press, which featured cardboard spaceships. The pre-cut pieces allowed CP#2 to design colorful ships, decorate his creations with stickers, and pretend he was a pilot. The finished spaceships kept him busy for hours. 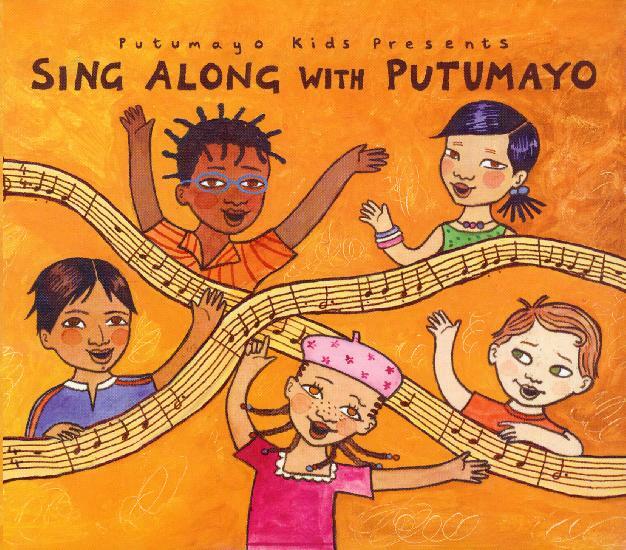 Finally, we all enjoyed listening to a children’s album MP picked up at the library, called Sing Along with Putumayo. Our favorites? Rhoda Vincent’s silly “Bananaphone,” Rufus Thomas’ funky rendition of “Old MacDonald Had a Farm,” and Rosie Flores’ “Red Red Robin,” which made us want to dance in our seats. By the end of the trip, we knew the words to every song by heart. I’ve got my hunches…it grows in bunches. My cellular, bananular phoooooone! Love that CD. Bananaphone always gets stuck in my head! Hope you and your family are enjoying your summer! Thanks for featuring the Felt Crayon Holder from Bella Luna Toys, Jennifer! Reminded me that I’ve been meaning to get in touch with you about a giveaway!